A new service dedicated to the English speaking community of Luxembourg has been launched this year by Kanner Jugend Telefon (KaJuTel) . 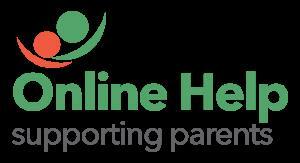 The Online Help Service will answer any questions big or small regarding parenting in Luxembourg . Whether you need information, advice or just someone to listen, the service is anonymous and completely confidential. Parents can access the service via the KaJuTel website. KaJuTel is an official member of Child Helpline International (CHI) providing support for families in Luxembourg for the past 23 years. KaJuTel’s main values are simple, yet essential: anonymity, confidentiality, self-determination, openess, respect and tolerance. Over the past few years, the English-speaking residents of Luxembourg have increased significantly due to the number of international enterprises establishing in Luxembourg. Consequently, KaJuTel has seen an increase in the need for support particularly amongst the English-speaking community. A survey KaJuTel did in 2012 showed that both the general English-speaking community and the English-speaking institutions were in great need of services offered in English. KaJuTel is asking members of the English-speaking community to spread the word about this service. It is important that every parent in need is aware of this support and is confident to use it. We also encourage everyone to try it out, so they can recommend it to others . All users of the service are asked to create a nickname to remain anonymous. The Online Help Service will be extended to children and youths in July 2015. A leaflet advertising the service can de downloaded here. « Komm, mir léiere Lëtzebuergesch!